This past weekend we finally got a chance to see the Secret Life of Pets and it was so cute and hilariously funny. I, of course, thought I had to make these cute little characters, Max and Gidget and add them to the Crafting with Kids series. 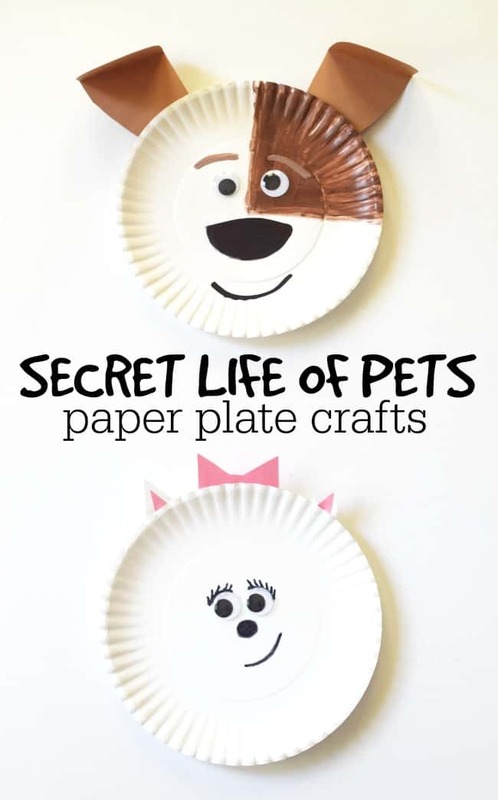 These two little paper plate crafts are super easy and great for even the youngest crafters. A fun art project to do this summer with your littles. Using the brown craft paint, paint Max’s large brown spot on the side of his face. Once the paint is dry, use a black sharpie to draw on his nose and mouth. Mix a little white with your leftover brown paint to create a lighter brown and paint on his eyebrows. Using the craft glue attach on 2 wiggly eyes. Cut out 2 brown construction paper ears and attach using the craft glue. Attach 2 wiggly eyes using the craft glue. Using the black sharpie to draw on Gidget’s nose, mouth and eyelashes around the eyes. Cut out her ears using 2 white pieces of paper and 2 smaller pink pieces of paper. Attach with glue. Cut out her bow with pink and attach. 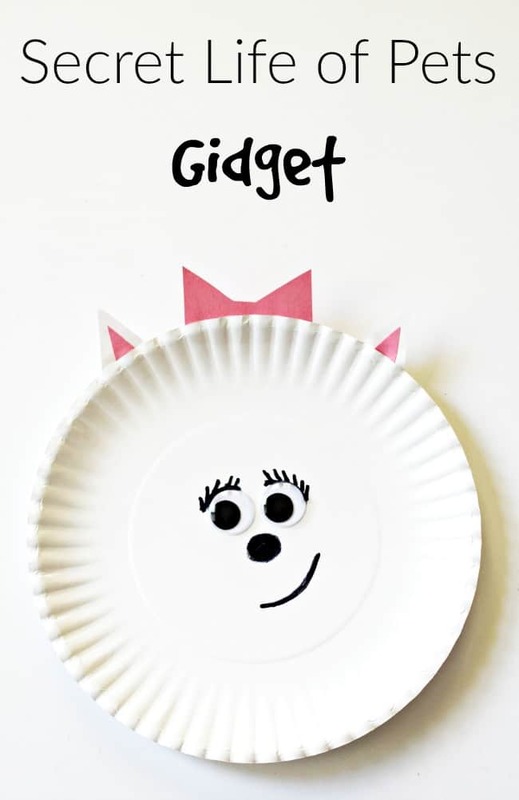 We thought the wavy paper plate made her fur look fluffy already but if you wanted extra puff because Gidget is super fluffy then you could attach some pulled apart cotton balls using glue. 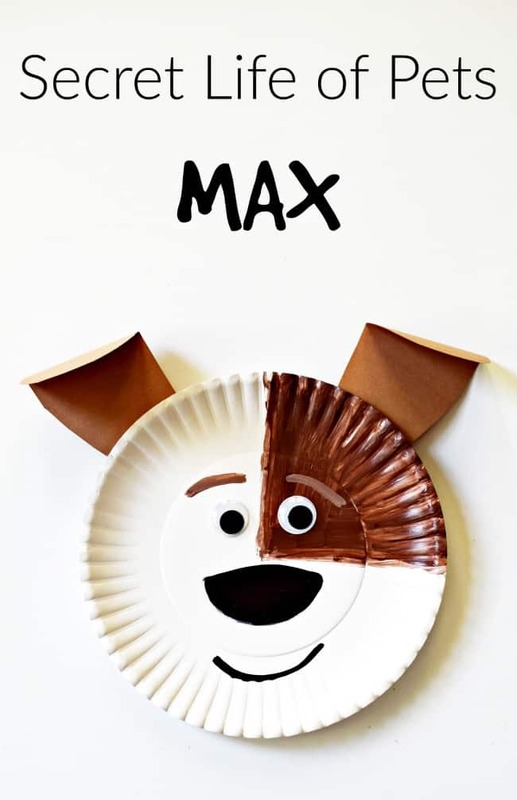 We hope you enjoyed these fun, quick and simple paper plate crafts. If you haven’t seen this super cute movie then we highly recommend checking it out. It was so funny. If you enjoyed this Secret Life of Pets Max and Gidget craft then you might also enjoy these too.